Mixed use property for sale can offer numerous advantages over other commercial income property types. Mixed use properties boost the vitality of their surrounding neighborhoods and they tend to use space extremely efficiently. Like all properties, of course, you need to be aware of the various challenges before you purchase a mixed use property. But you can easily overcome these through proper assessment of the property’s opportunities. Moreover, for ease of access and after-hours excitement, it’s hard to beat the curb appeal of a mixed used facility. These include amenities such as bars, restaurants, stores, movie theaters, gyms and much more. 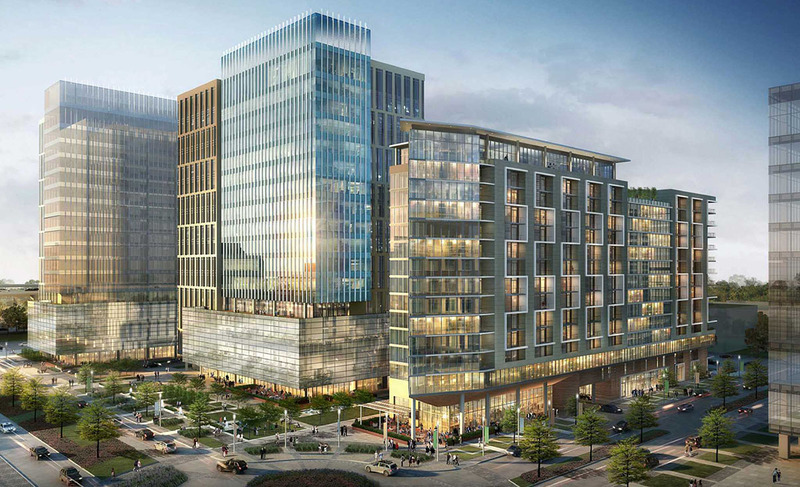 You can find a Borrower’s Guide to Mixed-Use Development here. Additionally, the following are some important factors to consider when purchasing a mixed use property. A well-designed, mixed use property for sale is designed to efficiently use its space. You can most easily accomplish this by choosing a vertical design that promotes less land consumption and a higher tenant density. Horizontal layouts use more land and provide less of, and therefore higher costs for, factors like landscape, maintenance, utilities and parking. A vertically stacked retail/apartment building, especially one that anchors an urban neighborhood, adds vitality to the community. It also reduces the dependence on car traffic. And, it provides the opportunity to run the building with greater sustainability and energy efficiency. Zoning is an important factor to consider when you assess a mixed use property for sale. To start, it is important to know whether the local zoning encourages or discourages the nearby construction and/or redevelopment of properties similar to yours. On the one hand, such development increases supply and therefore might moderate lease improvement. More likely, however, additional properties will increase the overall density of the area. And, to contribute to demand from the surrounding population looking to live in an exciting neighborhood that benefits from amenities like stores and eateries. In fact, some investors first purchase a mixed use property for sale and then develop additional properties in close proximity. Zoning laws that encourage these ambitions can be a powerful factor in your overall success. Many local governments take active steps to gentrify their communities and bring rundown neighborhoods back to life. If you are looking for a bargain, mixed use property for sale, consider working with your municipality to obtain and redevelop existing buildings that you can repurpose for mixed use. For example, starting in the 1970s, city programs completely transformed the Soho neighborhood in Manhattan. These programs encouraged entrepreneurs to purchase abandoned loft buildings and warehouses and repurpose them for mixed use. These programs were specifically aimed at apartments stacked above art galleries and boutiques. The result was a magnificent, vibrant neighborhood with high rents and strong demand. The city government encouraged demand for commercial property for sale with multiple uses. It did this through price reductions, tax subsidies, and improved infrastructure such as renovated subway stations. A mixed use property for sale offers diversification within the same investment. For example, imagine a commercial property for sale with multiple uses that includes residential, office and retail space. You receive some protection from, say, a downturn in the local office space market. This is because your residential and retail units might compensate with continued revenue growth. Had you acquired a single-use office building, you wouldn’t have the protection that diversification offers. Thus, downside protection via diversification is an important consideration when you assess the value of a mixed use property for sale. A multi-use property might be more likely than a single-use property to suffer from poor operation and misperceived value, because managing two different types of property is inherently more complex. This represents a great opportunity for investors who can identify a mixed use property for sale that is aging, poorly run or otherwise mismanaged. These properties are less risky than ones that you must entitle and construct from scratch. But, these are riskier than fully stabilized and efficiently managed, mixed use properties. When you purchase an under-performing mixed use property for sale at a bargain price, you seize the “sweet spot” of risk and reward. This can produce handsome returns as you resolve any property issues. For example, you might purchase a tall building with ground-floor office space below a residential tower. If the local market for office space is perennially weak, you might consider converting the offices to better-performing retail spaces. Thus, you can enjoy a higher net operating income. Or, perhaps you can add or expand parking to increase the attractiveness of the mixed use property. In other words, changing the property’s mix of uses presents an opportunity to improve returns. One compelling type of deal for you to consider is converting a single-use property to a mixed use or multiple use property. When done properly, you can achieve value enhancement and increased revenues. This provides the flexibility to sell the converted property for a net gain. Or you may retain the commercial property as a source of rental income. There are many possibilities, such as adding ground-floor retail, combining assets to increase parking, or reallocating some of the residential units to commercial office space. However, conversions present their own share of challenges. But we may be able to help you tap talented architects, developers and operators with the expertise to succeed. When you consider how to finance a mixed use property for sale, contact Assets America® for complete financial solutions. Our network of commercial funding sources includes regional banks, private lenders and many more lender types to help ensure you receive the best rates and terms available, with customized service that other commercial loan brokers can’t or simply don’t take the time and energy to deliver. We look forward to hearing from you soon!